Aria telecom offering Parth Mini G – wireless IP PBX designed with high-end technology. We are committed to employ new generation technology products to offer a flawless communication service. Our team of experienced professionals and technicians has designed this product for worldwide applications. 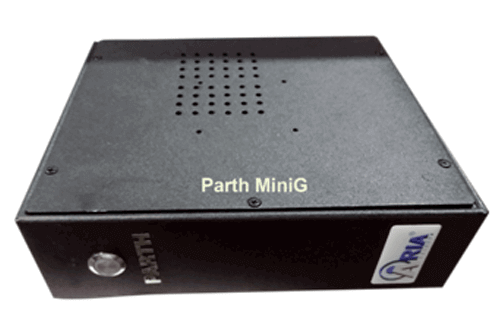 Parth Mini G – wireless IP PBXmaintains a long-term stability of products which is greatly beneficiary for the users. We have used an insight into users’ requirements and are developed this productfor seamless communication. A close-knit organization that we are, we research and work together to build a communication without any flaws. At Aria Telecom Solutions, we have built a tradition of teamwork where innovation is our chief motivation and we strive to create new and more stable services suitable for the users. We are working hard to make better office communication experience for you. Parth Mini G – wireless IP PBXoffers an unrivalled level of features and functional flexibility that any small businessesrequire and that too in an affordable price. It can be configured with analog trunks, extensions and VoIP Trunks. It can be configured to enable higher number of extensions to suits the need of SMEs and big firms.